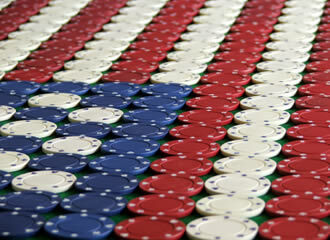 Is There a Future For Online Poker in the USA? People from all walks of life often visit Las Vegas, the gambling capital of the world, to get a taste of the glitz and glamour that the state of Nevada is famous for. Though gambling is legal in a number of countries Las Vegas offers something entirely unique with its incredible entertainment and the chance to walk away with some serious winnings. Despite the pull of Vegas America has an uneasy relationship with gambling, with a number of states restricting a large majority of the games of chance people can play. Playing free poker online with PKR has therefore been a refuge for a number of people over the years, when a number of the most popular gambling sites were alleged to have committed fraud and illegal practices. Known as Black Friday the industry has since cleaned up its act, with regulated online poker gaining momentum with state lawmakers. It’s little surprise that the first regulated, real-money online poker site cropped up in – you guessed it – Las Vegas. However in March bills were introduced to the Senate and the House in an attempt to impose a federal ban on internet gambling across the country. The Restoration of America’s Wire Act was met with a mixed response, especially as regulated online poker has only been available in North America since 2013. Opponents believe that the bill will be hard to push through, which will be music to professional poker players’ ears. Over the last year New Jersey and Delaware have joined the regulated market with other states expected to follow suit. The trend has been growing slowly but surely, with the recent bills to ban leaving a sour taste. Forbes reports that the next state looking at taking on regulated online poker is none other than New York City, which would be a major coup for the game’s supporters. One of the world’s biggest cities supporting online gambling would be a shining beacon for the maturing market. Even better, players will be dealing their poker hands with people in other states. Nevada and New Jersey have both signed inter-state compacts allowing its people to play against one another online, with Delaware expected to follow suit. 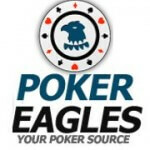 Though people connecting to the internet to play free poker with each other sounds like a natural evolution with a regulated online poker movement, statistics are showing a poor financial return for the industry. Nevada and New Jersey are states with small populations. Eilers Research recently compiled a report that shows the market over the next five years will slowly grow but produce middling returns. Larger states such as New York joining the movement though would likely give the industry a shot in the arm and encourage others to join in. For online gambling in the United States the future is far from certain. Professional online poker players have left North America over the last few years to continue their careers. Hopefully they’ll be able to ply their trade at home sooner rather than later.